Floating floor systems consist of pipes laid into pre-grooved and foiled insulation boards which can be laid directly onto the floor surface below. minimise height buildup and maximise the heating output. 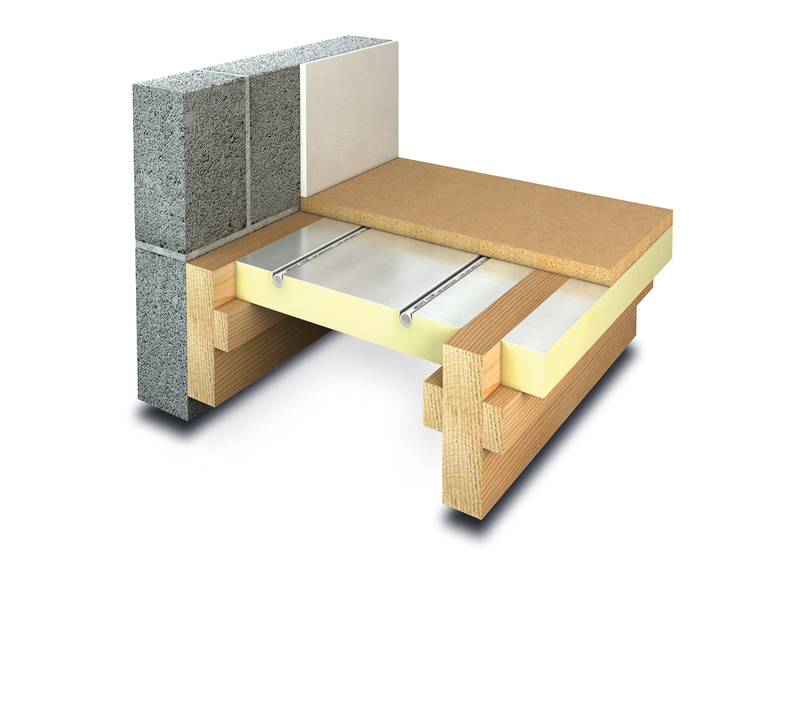 flexible and effective form of heating within battened floor buildups and can be used in both existing and new build applications with minimal effect to the overall floor build up. It can also be easily adapted to suit sprung sports floors, acoustic batten floors and over-battened floors. insulation into one product. 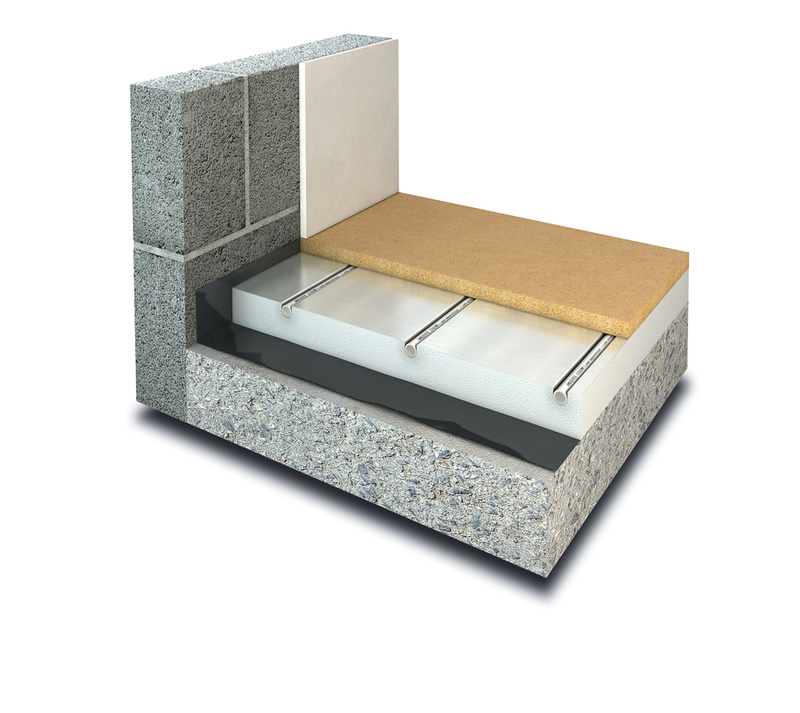 The insulation panels are made from high density insulation to provide increase strength and are available in various thicknesses starting from 25mm.